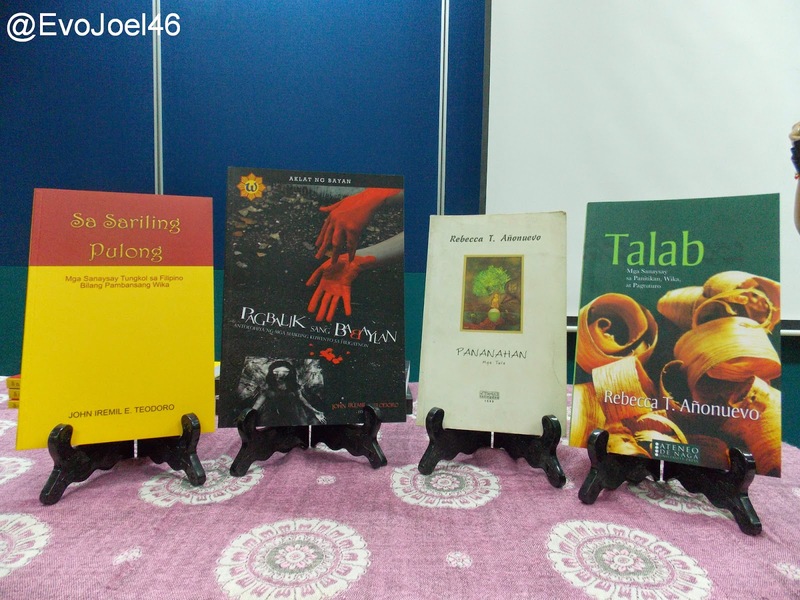 Evo & Grace: The WanderLusts: Four books, from two great Filipino Poets. 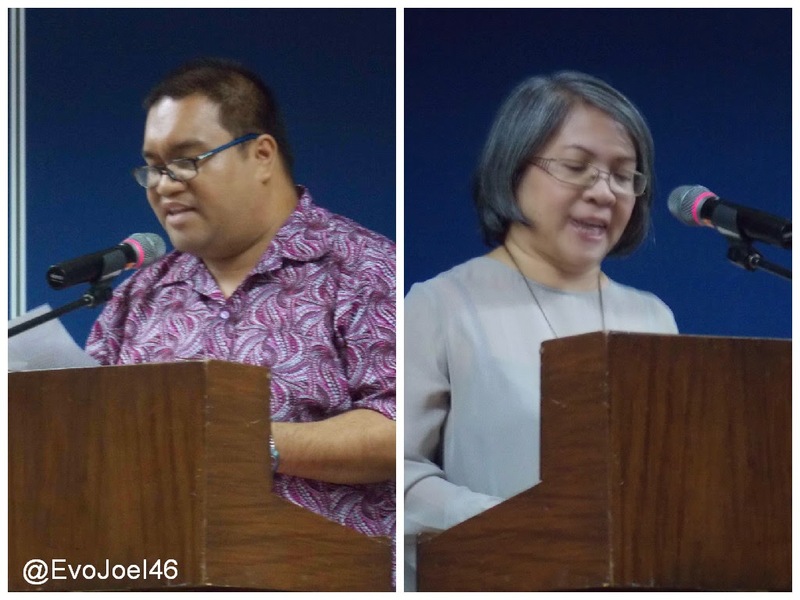 Two Miriam College Professors launched their latest books of stories and poems last February 18, 2015, the activity is entitled “Lintek”, the launching of four books by Rebecca T. Añonuevo and John Iremil Teodoro. Añonuevo, a Palanca awardee present her latest book called “Talab and Pananahan”, while Teodoro introduce “Pagbabalik Sang Babaylan and Sariling Pulong. The said books contains mostly poems, short stories and many articles about their personal journeys and opinions to different issues of the country. 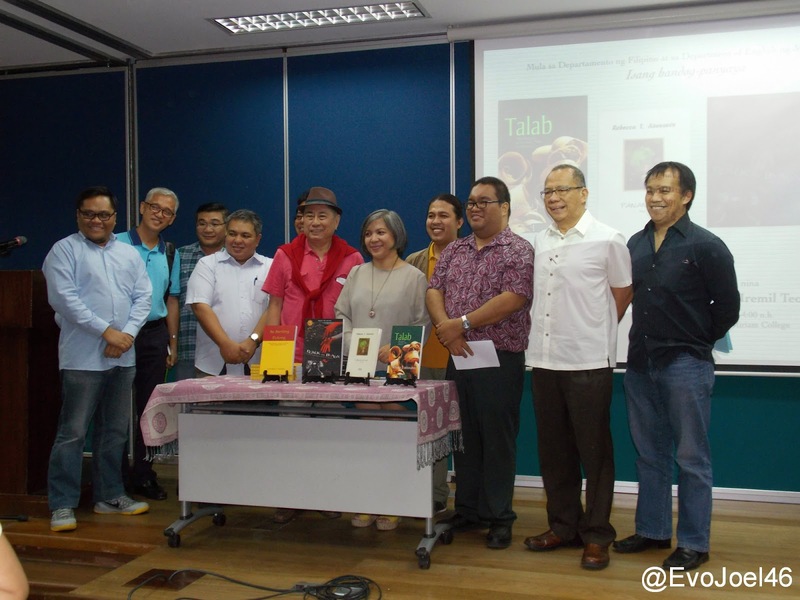 Teodoro’s book is being published by Ateneo De Naga University Press, while Pananahan book of Añonuevo is being sold online thru ebooks. National Artist for Literature Virgilio Almario and educator and writer Isagani Cruz is present at the said event. It was held at the Lecture rooms, SMT Building of Miriam College in Quezon City. Teodoro is a writer, freelance journalist, multi awarded playwright and one of leading gay poets in the Philippines. Añonuevo is a earned her doctoral degree in Dela Salle University for literature, she also publish books like Bago ang Babae (1996), Nakatanim na Granada ang diyos (2001) and Ang Mahiyaing Manok in 2000. 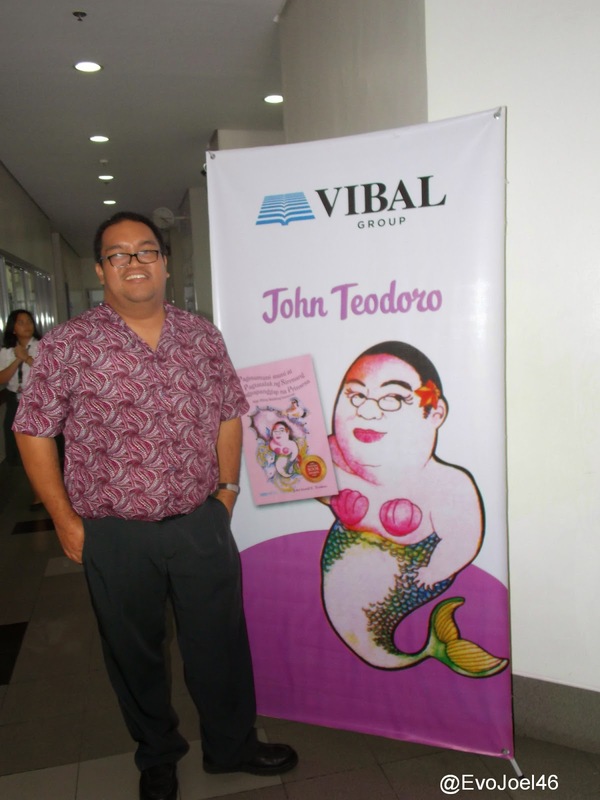 Teodoro's other book "Pagmumuni-muni at Pagtatalak ng Sirenang nagpanggap na Prinsesa" published by Vibal Publishing is also introduce to the event. Available in leading bookstores.